Buying a home often requires taking out a high-interest loan, and many potential homeowners are reluctant to purchase a house in the current market. Wyoming down payment assistance programs offer options for buying a home, allowing more people to purchase property. The Down Payment Loan Program provides monetary assistance with a down payment and closing costs. To participate in this program, homebuyers must take a homebuyer education class and a one-on-one counseling class offered through the Wyoming Community Development Authority. Homebuyers must contribute at least $1,500.00 of their own money and may take a loan of up to $10,000.00. Rates vary depending on the market, but are very reasonable. Another viable program is the Community Development Block Grant Program. This grant is only available for first-time homebuyers and may only be available in certain targeted Wyoming communities. However, for anyone who qualifies for one these grants, the program functions to provide assistance and encourage individuals and families to purchase a home. One final program available to Wyoming residents is the Dream Makers Program. Individuals who qualify for this grant are military personnel who may be active, reserve, National Guard, or veterans. The grant program matches contributions on a three-to-one for up to $5,000.00. Since there are maximum income limitations, not all military personnel may qualify for this program. In addition to these programs, Wyoming may offer down payment assistance programs through its local banks, credit unions, and new programs sponsored by the housing authority. Potential home owners should check with their local government and community partners on a regular basis to learn about these programs and take advantage of down payment assistance programs. 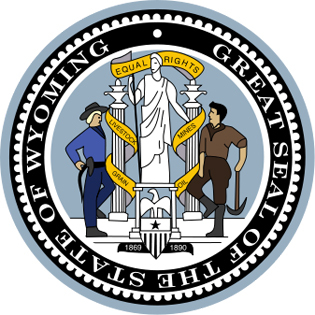 Many smaller programs exist in certain parts of Wyoming, especially for individuals who work in public service. These programs allow individuals and families to purchase a home even with limited income and savings. This entry was posted in Wyoming and tagged down payment assistance, grants, housing authority, programs, wyoming. Bookmark the permalink.